This versatile Italian – also known as Trombocino – is a vigorous vine that can quickly cover an arbor or fence with silver-patterned leaves and eye-catching “trumpet” fruits. 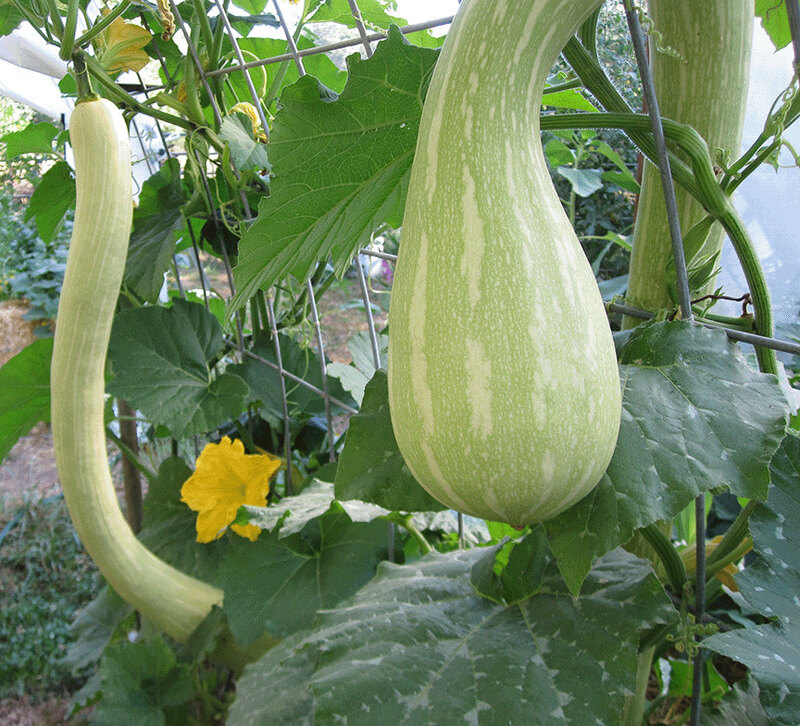 Eaten when they’re finger-thin and about a foot long, they stay firmer than other summer squash in sauces, and have a nutty taste that many gardeners prefer to all other summer squash. 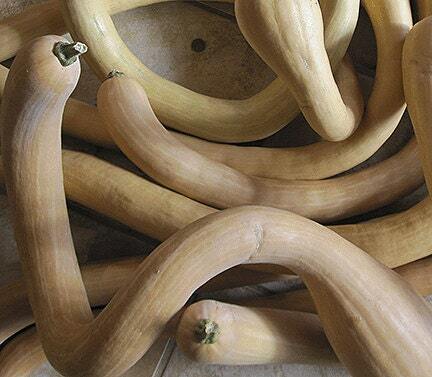 As four-foot-long winter squash, their mildly sweet bright orange flesh suits both soups and pies. In Italy they’re used as ravioli stuffing. Perfect for summer shade over an outdoor seating area. Guaranteed conversation-starters. Culture: Plant indoors 3 weeks before last frost, or outdoors when the danger of frost has passed. Fertile soil, full to 3/4 sun, regular water. The vines will easily grow 10 feet and come equipped with strong curling tendrils that attach to wires. 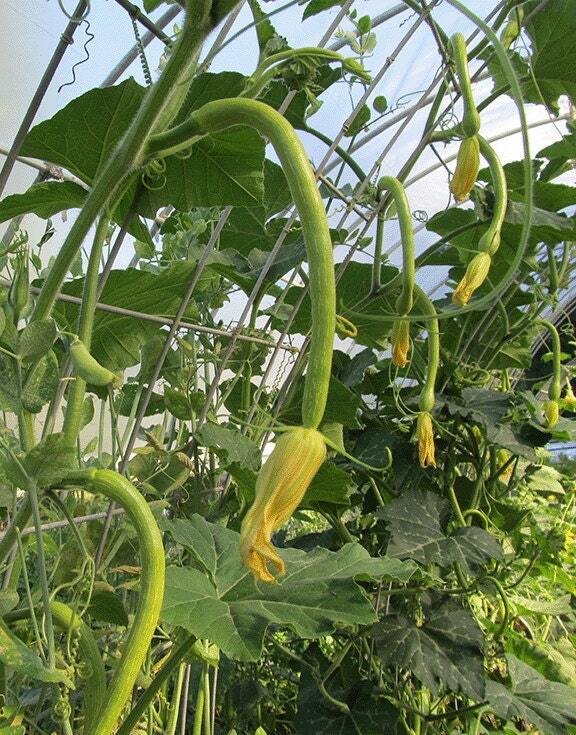 We grow them on 16-foot “hog panels” that are bent into arches and fastened to the ground with short stakes. Arrived quickly and in nice packaging, let's hope for good crops next year !